Last year Alan raced to second at the UCI XCO World Championships in Cairns, Australia in a thrilling battle with New Zealander Sam Gaze that went all the way to the line. Gaze moved into the Elite age group in 2018 while Alan gets a final shot at the U23 rainbow jersey. He carries plenty of confidence into Friday’s race, having finished fifth overall in this year’s U23 World Cup series and claiming a victory in Round 6 at Mont Sainte-Anne in Canada. But the South African is no shoo-in for victory at the high altitude race venue in Lenzerheide. The U23 category is fiercely competitive. Norwegian powerhouse Petter Fagerhaug, Swiss whiz Filippo Colombo and Frenchman Joshua Dubau represent the biggest challengers to Alan’s dominance. But the U23 ranks run deep with talent and skill and attacks will come from any number of the highly-motivated youngsters. Alan’s training partner, Danish superstar Simon Andreassen, as well as rising star Christopher Blevins from the US will be fighting fit and won’t back down. The U23 men race at 16:30 local time (the same in South Africa) on Friday afternoon, and there will be live streaming on the UCI Youtube channel. Team Spur will also be covering the race from its twitter page. 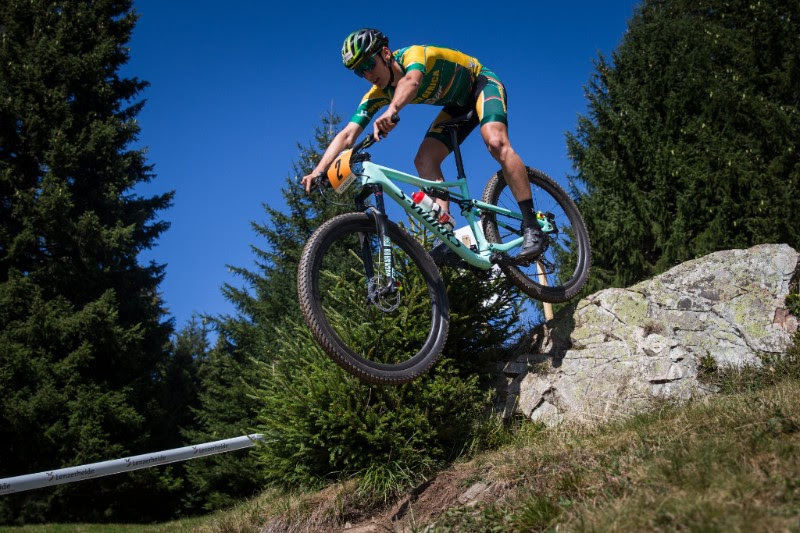 The live video streaming is a welcome development, and an opportunity for fans to see the ferocious pace and silky skills of the world’s most talented young mountain bikers. Team Spur fans have been reduced to following Alan’s exploits across the globe in 2018 via the team’s live twitter feed updates, as U23 World Cup races aren’t broadcast live. Rain is forecast for race week and in course practice riders are already battling to stay upright on sections of the slippery track. Alan has raced a few wet World Cup events this year with mixed results, but a solid understanding of how to approach a race when the weather turns against him. “It’s all about being stable on the bike and controlling the slides which will inevitably come,” Alan says.